Located in the state of Maharashtra in India, Pune has almost 4 million inhabitants: Built at 554 meters above sea level at the confluence of two rivers Mula and Mutha, it is also bordered by a lake, and temperatures vary between 4 ° C in the coldest winter in 38 ° C in summer. Considered as the cultural capital of the state, it has several universities and an interesting architectural heritage, among palaces and temples, but also museums and galleries. What to see in Pune? 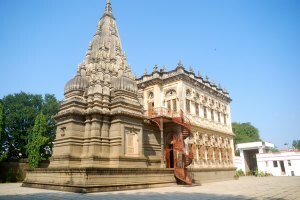 Examples of sites to visit: the Raja Dinkar Kelkar Museum, with its 20,000 jewelry, statues and antiques; 4 temples of Parvati hill, from where also the view is superb; Osho Ashram, a renowned meditation center; Aga Khan's palace; Shaniwar Wada the former fort which there are some ruins; Saras Baug the Temple surrounded by his beautiful park; the memorial to Gandhi; botanical gardens bringing a little greenery and serenity in this hectic city. Accomodations in Pune are numerous and cover a wide range of price and comfort, which will allow each traveler to visit the place. As for the food, if you agree to try local specialties, you will discover delicious flavors at very low prices! Items to bring back from your trip to Pune include saris and fabrics of all colors at very low prices, the various tea flavors, jewelery, statues of deities, incense sticks with many scents.